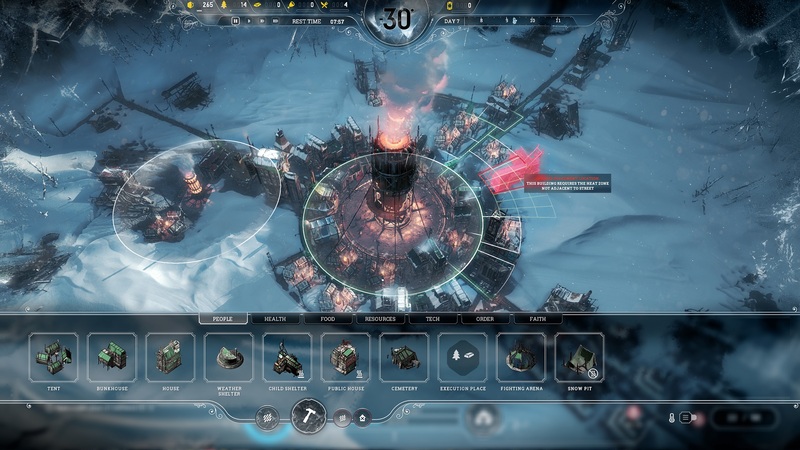 More than four months after the release of Frostpunk we spoke with Rufus Kubica from 11 bit studios at Gamescom 2018. He gave us a preview of the next steps in development and explained why the atmosphere of their survive titles are so grim and hopeless. 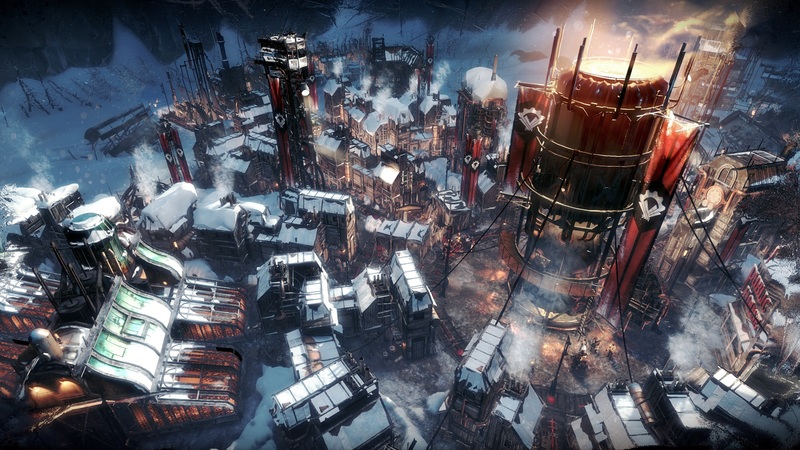 Telling the Frostpunk story endlessly – how is that supposed to work? The updates announced in the roadmap continue to run as planned. After the People and Automatons update which had a strong aesthetic focus, a new scenario is coming up. It will contain a new map and reveal new elements of the backstory of Frostpunk. We shouldn’t focus too much on the title ”The builders” as it was just a placeholder and the scenario has evolved, said Kubica. But, soon there will be more clarity. In addition, the developers are working on the ”Endurance” survival mode. We are mostly curious about how they are planning on implementing this in a game that is heavily focused on the story and atmosphere. Rufus Kubica points out: Frostpunk is not Cities: Skylines. The ”Endurance” mode should also focus on the storytelling – not on building the most optimal and biggest city. At the end of the year the technological update ”Winter snapshots” is announced. This should also light up the Christmas spirit. 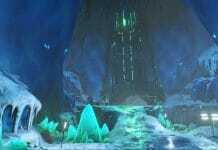 The focus, however, is to make the graphics usable for the players. After the update, all players should be able to take good pictures of their cities. A dream would be, of course, to have cinematic time-lapse camera shots between the buildings. But, this probably remains a dream. For 2019 there will be new scenarios and maybe some game modes. There are many ideas and requests from the community, but the future plans aren’t certain yet. However, a certain request from the community won’t be implemented: Frostpunk is and remains a single player title. It’s not planned to publish the game in any form of multiplayer. As in the single player, all the emotional elements intended by the developers are coming to their rights. 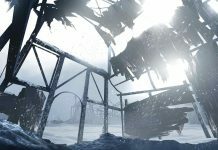 Gamescom 2018: The roadmap of Frostpunk is on schedule. We learned some details about the next step in our interview. Both Frostpunk and This War of Mine are set in a dark and gloomy atmosphere on the edge of humanity. As the player, you have to make tough decisions over and over again and there is no correct moral solution. Be it either child labor or dealing with the dead and those in need of care. The explanation of Kubica goes as follows: ”That’s because we are Polish”. After that, he explains it a bit further. He sees it as a part of the Polish culture to bite through and develop creative ideas during hopeless situations. Whether in World War II or the Iron Curtain, people in Poland have been forced to improvise and develop tricks to survive. This cultural influence shows in the games made by the Polish game studio. And how do the players deal with this challenge? Roughly speaking Rufus Kubica divides the feedback of players into two groups. Some players try to find the optimal winning strategy of the game mechanics and to survive as long or as successful as possible. With the moral aspect only playing a small role. 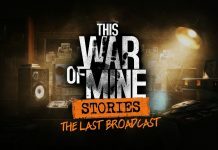 Another group of players are more immersed and have an emotional connection with the scenarios and the game history. They give feedback such as: My city survived only five days, but I treated the children well in time and made them live a happy life. And why does Frostpunk fuels debates in China? The cultural differences also seem to play a role in the ”China Debate” about Frostpunk. At the end of a scenario, you get your own morally questionable decisions reflected, combined with the question: ”the city has survived. But, was it worth it?” The central moral theme behind it; how relentless can one be to individuals to ensure the group’s survival? Some Chinese players found this questioning a provocation: ” the city has survived as best as possible under my leadership! 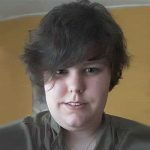 What is this inquiry, if it was worth it?” The assessment of how much the individual has to put aside when the community is about to be extinguished is assessed very differently, depending on the cultural characteristics. That’s why the game has sparked such a debate in the Chinese public about socialism.